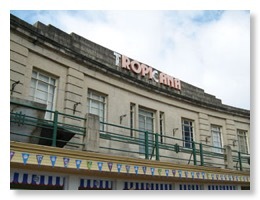 In a follow up to a story that appeared in our October 2010 edition, it has emerged that the Tropicana in Weston- super-Mare will be redeveloped by a local businessman or not at all if North Somerset Council does not approve his plans. 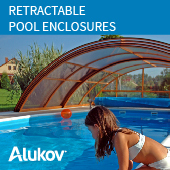 Only two bidders had expressed an interest in redeveloping the run down seafront pool: local family firm the Nightingale Group and Havard Tisdale, of Wiltshire. North Somerset Council had received proposals from both developers and was due to examine the plans in detail before appointing a preferred bidder. However, in an unexpected turn around, Havard Tisdale pulled out of the process on 20 January, the day before a public exhibition in the resort. Havard Tisdale blamed a variety of reasons for withdrawing from the scheme, including increased build costs, saying "the sums were not adding up". The firm said since it started to put together its bid proposal over a year ago, many factors have changed, both in terms of the details of this project, but also with the progress of other sites in the town. Havard's withdrawal from the scheme means the council is now left with just the Nightingale Groups proposal, which it can approve or reject. At this stage no one else can express an interest in the site as the tender process has closed, so unless the remaining proposal is accepted, the Tropicana will be left undeveloped. Council spokesman Nick Yates said: "We will examine all the feedback received from the public exhibition and this feedback will be given to the Nightingale Group. "As it is a closed process it means no one else can bid for the Tropicana. "With only one developer interested it may now speed up the process." Mr Nightingale, 41, has already committed to paying a £1m bond should he not be able to complete the project and is determined to bring the scheme to fruition. Nightingale's appointed architects Faulkner Brown claim the mussel shell-like design will, when completed, rank Tropicana in the top five water parks in the UK. At more than 5,000 sq/metres, which is over 10 times more than the council had originally specified, it would become one of the largest water and leisure parks in the country and would also have some of the most advanced water rides in the world, including a labyrinth of water slides, chutes, multiple fun pools, rivers and waterfalls plus a second large exercise pool and a third outdoor, clover-shaped pool.